Work at the WSU Bear Research, Education, and Conservation Center goes well beyond important things like enrichment programs and energy-monitoring collars. WSU scientists are looking at the genomic level to try and determine the myriad ways that bears adapt to their climate. 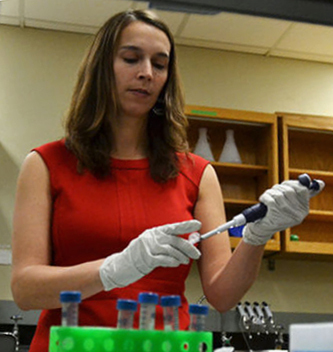 Joanna Kelley, an evolutionary geneticist and assistant professor in the School of Biological Sciences, said for the last two years, her lab has collected three different samples from six of the bears three times a year. Each sample has over 200 million pieces of data, giving them 10.8 billion pieces of data to wade through each year. 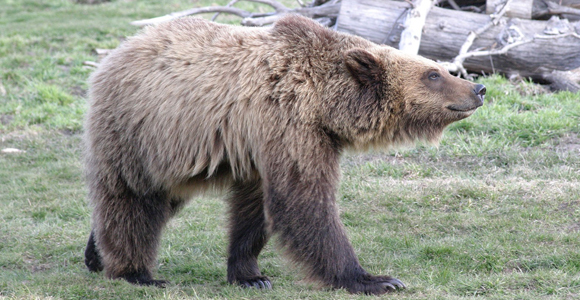 One sample is collected from muscle, fat, and the liver during the three distinct ‘seasons’ for the bears. Those are the active season, after hibernation through early summer, hyperphagia, or the time when bears are driven to consume huge quantities of food to prepare for hibernation, and then hibernation. One of the preliminary findings of the work is that the only tissue that seems to change between the active season and hyperphagia is fat. Gene expression, or activity, doesn’t change in muscle or the liver at that time. Another finding is that the genes involved in metabolism decrease activity or turn off entirely during hibernation. Kelley took an interesting route to working with grizzly bears. She was advising a graduate student who was interested in bear DNA and worked with Charlie Robbins, a professor of wildlife biology and founder of the WSU Bear Center. Kelley’s background, however, is in human population genomics, or how people had adapted to different environments. That led to studying adaptive evolution in complex organisms like fish in extreme environments like the polar ice caps or in hydrogen sulfide-rich streams. Half of her lab still works on those issues, but the others are working on the bear research. The graduate students working on grizzly bear gene sequencing are Shawn Trojahn and Michael Saxton.